The 2000 Calon Segur is one of those wines that reminds you how great the millennial vintage could be. Now at fifteen years old, it has a brilliant, vivacious red berry nose infused with ash and cigar box aromas. The detail here is a beguiling and it just "sings" Saint Estèphe. The palate is medium-bodied with dense, firm tannin that provide a rigid backbone, but it is swathed in copious tobacco-drenched black fruit and a superb line of acidity. It finishes with a twist of bitter cherry on the finish that completes what is a deeply impressive Calon-Ségur; it might just outclass the 2005. Tasted March 2015. Drink 2018-2050. 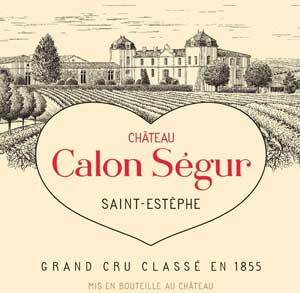 Tasted at Kettners in London just after the August riots, the millennial Calon-Segur is a great wine that has a 30-40 year lifespan. That bouquet is still so bloomin’ broody and takes a while to open, eventually and reluctantly offering crisp red-berried fruits interlaced with graphite and sous-bois. The palate is medium-bodied with a firm tannic structure and very good balanced with a fan of truffle and a touch of espresso towards the masculine finish. Nice grip and persistency here. Excellent.